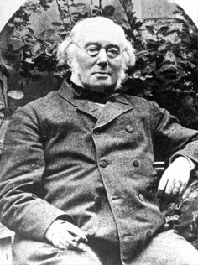 Albrecht Ritschl, (1822-89), one of the outstanding German liberal theologians of the 19th century, professor of theology 1852-64 at the University of Bonn and 1864-89 at Göttingen, wrote twice at length concerning Anabaptism, both times in connection with his investigation of the origin and history of Pietism. Under the influence of Max Goebel's Geschichte des christlichen Lebens in der rheinisch-westfälischen evangelischen Kirche (Coblence, 1849, 1852, 1860) he held Pietism to be in a sense a revival of Anabaptism; hence he attempted to show the relationship of the two by analyzing their basic ideas and showing the similarity. In tracing the origin of Pietism to Anabaptism he felt it necessary to trace the origin of Anabaptism, which he did by tracing its roots back to medieval Catholicism, particularly the Franciscan tertiaries or spirituals. Ritschl first set up his theory of the origin of Anabaptism in an article in Zeitschrift für Kirchen-geschichte II (1878) 1-55, entitled "Prolegomena zu einer Geschichte der Pietismus." Here he asserted a direct connection with Franciscan tertiary congregations. When Ritschl published his Geschichte des Pietismus in der reformierten Kirche (Bonn, 1880) he modified his theory (p. 70) to say that since he had found no documentary proof of direct connection he claimed only a general derivation of Anabaptist ideas from Franciscan tertiary ideas. More important than the matter of the specific origin of Anabaptism is Ritschl's attempted characterization of Anabaptism as in effect a revival and continuance of medieval Franciscan tertiary ideology in contrast to the Lutheran and Zwinglian Reformation, which succeeded in overcoming medieval Catholicism altogether and operated with a radically different concept of church reform. According to Ritschl, Lutheranism (and Zwinglianism) was the exact opposite of Anabaptism on this point. (Calvinism, he thought, had certain Anabaptist-Franciscan elements.) Here Ritschl departed from his mentor Goebel's favorable evaluation of both Pietism and Anabaptism. Contrary to Goebel's view that "Anabaptism was the more thorough, decisive, and complete Reformation, a child of Luther's and Zwingli's Reformation, which was surrendered by Luther in 1522 and by Zwingli in 1524," Ritschl insists that Luther had an entirely different concept of the reform of the church, and never intended what the Anabaptists wanted. He sought to reform doctrine and worship and the clergy, working only indirectly for a reform of life and raising of moral standards, while the Anabaptists like the Franciscans sought basically a reform of life based upon a restoration of a New Testament apostolic moral and social order and institutions on a legalistic monastic-ascetic basis, which meant withdrawal from ordinary occupational and state life, "a flight from the world." Luther by contrast emphasized justification by faith, freedom from legalism, and participation in occupational and state life—no withdrawal. The Anabaptists wanted to establish a pure church by discipline, while Luther wanted to improve the general morals and behavior of the people through the general moral education of the people by the state. So, says Ritschl, one cannot rate Anabaptism as a better Reformation unless one prefers (1) social withdrawal and rejection of the state, (2) communism of goods and regulation of costume, (3) prohibition of cheerfulness and merriment, (4) imagined sinlessness which leads to antinomianism. Ritschl admits that both Luther and the Anabaptists claimed to base their principles on Scripture, hence the decision between the two in Reformation times could not be made by using Scripture, but only by force, which meant the physical suppression of Anabaptism. For Ritschl Anabaptism was basically a revival of the monastic-ascetic legalistic ideal of holiness as the Christian way of life which was taught and practiced by the Franciscan tertiaries for 300 years before the Reformation. Both movements treat the New Testament as a code of law. He insists that Anabaptist teaching and regulations can be shown to reproduce precisely the Rule of the Tertiaries (in part). The tertiaries had prohibition of worldly amusements, regulation of costume, restrictions on the oath and the bearing of arms. The Anabaptists, it is true, made the latter two points absolute, but Melchior Hofmann fell back precisely to the tertiary position of restriction on the oath and arms, rather than absolute prohibition. Ritschl adduces two secondary aspects of Anabaptism, mysticism and chiliasm, and claims that these were also drawn from Franciscan backgrounds. He goes so far as to claim that "all Anabaptists taught the return of Christ and the establishment of His earthly millennial kingdom." Having surrendered his theory of the direct derivation of Anabaptism from tertiary congregations, Ritschl is at some pains to show the route by which Anabaptists got tertiary ideas. He concedes that the Anabaptists had been direct adherents of Luther and Zwingli in the early years of the Reformation, but says this does not at all mean that they got their ideas from Luther and then carried them on to more complete and logical expressions. He propounds the following theory. All Anabaptists, even their educated leaders, came from the lower artisan classes of the cities. Since it was precisely in these classes that the Franciscans had preached and worked with success, these classes thought of reform in the medieval Franciscan sense of moral reform—of an application of monkish-ascetic holiness to the common people. They held their ideal under the title of "preaching the Gospel" and believed it was based upon the New Testament Scriptures. When Luther came he professed to (1) preach the Gospel, (2) base his work solely on Scripture, and (3) reform the church. Hence the city masses thought he was going to carry out their previously held ideals of reform and rushed to follow him. When they discovered that he was not at all going to do this, they forsook him and his Reformation. At this point the Anabaptist movement came along and the disappointed masses followed them. What better sources does Ritschl have to support this thesis than he had for his earlier thesis of direct connection, for which he confesses he had no documentary sources? He offers no proof for his claim that all Anabaptists came from the artisan classes of the cities nor even for the claim that these classes were shot through with tertiary ideas. His chief cited source for Anabaptist principles is Heinrich Bullinger's Der Wiedertäufer Ursprung (Zürich, 1560), which he unquestioningly accepts. He has one footnote reference to Cornelius' Geschichte des Münsterischen Aufruhrs II (1859), and Erbkam's Geschichte der Protestantischen Sekten im Zeitalter der Reformation (Hamburg, 1847), both of which he lightly puts aside. Goebel's book, of course, he was familiar with. Ludwig Keller's basic works on Anabaptism had not yet appeared (Ritschl’s preface is signed 20 January 1880). Ritschl gives no evidence of any thorough study of Anabaptism. His method is, in fact, basically that of comparative theology. He draws conclusions about genetic relationships from similarities in ideologies. This method has some value, but at most it can only classify ideas without proving any genetic relationships. Ritschl cites no Anabaptist literary sources or archival records. He names in passing a few Anabaptist leaders, Conrad Grebel (probably based on Cornelius), Hans Denk, and Hans Hut, and seemingly includes Carlstadt and Müntzer in the Anabaptist group. Where he got his erroneous assertion that Hans Hut's group "as the true Israel undertook to root out all Canaanites by force" is unknown. Nor does he prove his impossible claim that all Anabaptists were chiliasts. He does admit that most Anabaptists were peaceful and nonresistant (he had to in line with his thesis of Franciscan ideological origin) but cites Hut and the Münsterites as examples of the use of violence. His claim of antinomianism among the Anabaptists (where it is not merely a logical deduction) must have come from Bullinger. One cannot escape the impression that Ritschl basically operates with two central ideas which are imposed upon his material a priori rather than derived from the evidence: (1) Luther's Reformation is preferable as a movement which transcended medieval Catholic monastic-ascetic, papal, and hierarchical Christianity of works by its proclamation of the Gospel of justification by faith, freedom from legalism, rejection of following the New Testament example in ethics and social institutions, and promotion of a Christianity which works toward the gradual improvement of moral and the social order through education. (2) All other types of reformation are basically the opposite of this in all points, in essence a continuation of the medieval Catholic idea of moral reform bearing an essentially legalistic monastic-ascetic character. This latter strain came to the fore in the mendicant orders, especially the Franciscans, and there particularly in the tertiaries or Spirituals. Since the Anabaptists, as conceived by Ritschl, bear this same character, they must have arisen out of this background. The specific construction of Anabaptist origin and character advocated by Ritschl has had no substantial support by other historians. The idea that Anabaptism was monastic in essence, a monkish movement, was of course often charged in the Reformation period, by Luther and Melanchthon for instance, as well as by Bullinger and by superficial observers since that time. This is a strange misunderstanding of the central Anabaptist motivation to be "earnest" Christians in full discipleship and to establish a church of this character kept pure by discipline. On the other hand, from the very beginning there have, of course, been individuals and even groups who went to extremes and became legalistic, both Anabaptists and Mennonites. That this has ever had any direct or even indirect relation to any historic aspect of Roman Catholic monasticism is most unlikely, and certainly has never been proved from acceptable documentary sources. Heinrich van der Smissen, Mennonite pastor in Hamburg-Altona, Germany, reviewed Ritschl's book in 1882 in the Mennonitische Blätter XXIX, pp.19-22, 28 f., 37 f., 45 f., 58 f., analyzing at length and refuting Ritschl's hypothesis. Karl Barth describes Ritschl's position as follows in his Die protestantische Theologie im 19ten Jahrhundert (Zollikon-Zürich, 1947) p. 598: "Christianity is world view and morality (Weltanschauung und Sittlichkeit), but in no sense an immediate relationship with God. Catholicism and Anabaptism of any sort are accordingly thereby eliminated (erledigt) in one stroke, since they claim to know of a Christianity and indeed a more perfect Christianity in the moral sphere than the conscious and actuated sonship of God." Hege, Christian and Christian Neff. Mennonitisches Lexikon, 4 vols. Frankfurt & Weierhof: Hege; Karlsruhe: Schneider, 1913-1967: v. III, 460. Ritschl, Otto. Albrecht Ritschls Leben, 2 vols. Tübingen, 1892, 1896. Bender, Harold S. "Ritschl, Albrecht (1822-1889)." Global Anabaptist Mennonite Encyclopedia Online. 1959. Web. 24 Apr 2019. http://gameo.org/index.php?title=Ritschl,_Albrecht_(1822-1889)&oldid=146176. Bender, Harold S. (1959). Ritschl, Albrecht (1822-1889). Global Anabaptist Mennonite Encyclopedia Online. Retrieved 24 April 2019, from http://gameo.org/index.php?title=Ritschl,_Albrecht_(1822-1889)&oldid=146176. Adapted by permission of Herald Press, Harrisonburg, Virginia, from Mennonite Encyclopedia, Vol. 4, pp. 342-343. All rights reserved.